Nanotechnology improves the measurement of moisture in Gas Insulated Switch Gear. The American power industry in the United States has chosen to use the PhyMetrix PPMa moisture analyzer for monitoring the moisture content in their Gas Insulated Switch Gear (GIS) systems. The American Power Industry recognizes that the PPMa provides a cost effective solution to theses needs with a NanoPore ceramic sensor technology and dewpoint measurement range of -110 oC to + 20 oC. these analyzers respond instantaneously to the smallest change in moisture content, saving valuable time. 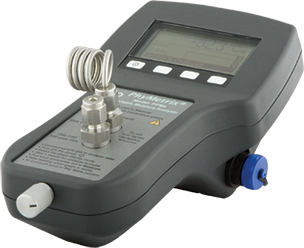 The Phymetrix PPMa is quick, accurate and robust (resistant to contaminants). It has a precision of +/- 0.8 oC.